Emission Gas & Opacity Testing, measuring range CO,CO2,HC,O2,Opacity. Dynocosberoffers a new generation of AWD & 2WD Dyno to the car tuning market. Vehicle Leave factory Test Line Series is specially designed to inspecting process. Cosber is accurate and affordable exhaust gas analyzer, for Diesel, Gazoline, GPL engines (automotive, trucks, camping car, tractor, industrial trucks). 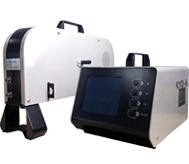 Gas Analyser It uses in measuring automotive emission exhaust CO, HC, CO2, O2, (NOX). LCD display with Chinese/English operation menu. It is easy to operate. Inside bench is world advanced bench that meets OIML class 0 made by HORIBA Japan. The other sensors are import world brand products. With functions of License Plate Number entry, save, data view. With functions of data printing and communication with host computer. Serial RS-232C interface or RS-485C interface can be selected. The performance meets the requirements of ISO11614 and GB3847-1999. 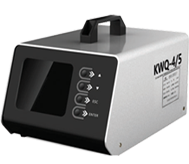 KWQ-5 (4/5) Gas Portable Measurement concentration of HC, CO, CO, O2, NO (option) contained in automotive exhaust gases from gasoline engine of vehicles. Advanced NDIR (Non Dispersive Infra-Red) analysis technology is used to measure HC, CO, CO2 and the newest generation of electrochemical technology is adopted to measure O2 and NOx. KYD-5 Opacimeter, Smoke meters, also referred to as opacity meters, detect and measure the amount of light blocked in smoke emitted by diesel engines from cars, trucks, ships, buses, motorcycles and locomotives operations. you can find out the availability of our stock products by contac us or visiting our stock in here.